I have been placing this comment a few times now, why are we allowing 12 hours shifts in hospitals? There is no way you can be alert for such a long time. Imagine how many more nurses and new grads could be employed if these shifts were abolished. This should be a bargaining point for the next MECA. No more 12 hour shifts for nurses and doctors. I personally prefer 12 hour shifts as it means I don’t have to rush rush rush and make a mistake. I have 4 more hours to get my work done. It doesn’t take work away from other nurses as they don’t work 5 days a week like most. Nurses need to have their proper breaks to deal with any shift, but especially 12 hour ones. I’d love to do them, but I think they’re been faded out. You see that is the problem Rosemary, why should you have to do 12 hours work in 8 hours? After you the next nurse does an 8 hour shift and will finish where you left off. If you are unable to document within your own shift obviously the work load is unrealistic. By trying to comply to unrealistic expections you ignore the problem of understaffing. Nurses are treated as consumables – nothing ever changes – after a while these comments and questions become boring. By taking action someone may sit up and listen – then again they may not. Nurses need to stand up to management and say enough is enough. You work so hard but get no thanks and if you make a mistake the culture of blame raises its ugly head. No support for you is there. For the past 12 years I have watched the same comments about overwork and bullying – has anything changes – NO – only the people who leave nursing has changed. The managers continue with there countless meetings and nothing improves. Stop arguing about whether 12hr or 8hr shifts are better. The thing that stops mistakes from happening is having safe staffing numbers, and adequately skilled and supported staff. Whenever money needs to be saved, it is always nursing roles that go. Also, as a manager that is attending ‘all these meetings’, I do still work clinically to support my staff, and I ensure that wherever possible, I provide safe staffing levels. I have staff who work both 8hr and 12hr shifts – it is the choice of each individual nurse. There are regulations around how many consecutive shifts they can work, and how many breaks they need. if this is adhered to, then safety is not an issue. Nurse manager, who still cares about nursing. 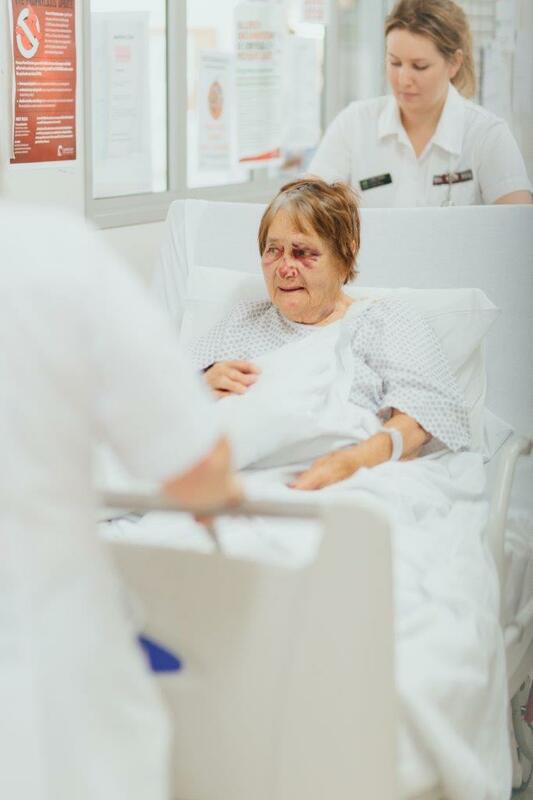 I have found one of the biggest factors for increased falls is the change in layouts of hospital wards. plus the fact that nurses are now expected to have several patients that they do 15 minute checks on. -this can be impossible because of ward layouts. trend care does not adequately gauge the staff needed and just takes nurses away from the bedside, that combined with the ever increasing paper work now needed gives nurses far less time to actually care for our patients. nurses are exhausted and fed up with management not supporting them so that they have safe staffing levels . We NEED support to maintain patient safety ! Firstly, changing staffing from 12 hr shifts to 8 hr shifts does not give you more nurses as it is about the full time equivalent i.e. full time versus a part-timer, regardless of the length of shift. 12 hr shifts do work for many nurses (not all), they are great in unit settings as benchmarked overseas extensively in unit settings. The issue with longer shifts and eorrs, particularly medication errors seems to be reported when nursing shifts extend beyond 12 hrs, like the classic doublt shift over in the US in some places. Regular breaks as mandated and more consecutive days off in a row for rostered and rotating staff can improve quality of life and work i.e. less stress, less burn out, less sick leave and enhance well-being. new hospitals with large geographical wards, one nuse in a new ward was clocking over 6 km in an 8 hr shift!! higher acuity patients over all – patients that used to be in ICU 20 years ago are in high dependency units (HDU’s) now, HDU patietns are now in the wards and those that were once in the wards are in the community being managed by GP & PHC nurses. Times have changed. Workloads have increased, there is no doubt and staff/patient ratios have not, if anything they have declined. More clinical use of the HCA – non-registered staff now doing a lot of the basic contact i.e. showering, feeding, assisting to the toilet etc. This was once crucial assessment and evaluation time for the RN when assisting patients with ADL’s. Now significant paperwork requirement, technology practices and very heavy workloads have distanced RN’s from their patients to a degree. My final point, i see routinely nurses late home after their shifts, 30mins, 1hr and sometimes more. It is accepted practice and considered a norm when working in the wards – Time management skill deficits cannot explain the large numbers of nurses who practice this norm. Everyone needs to highlight it daily to their managers. Nurses needs to find it collective voice. Kate – working clinically on rostered and rotating shifts and on 12 hr shifts for approaching 15 years now.